I had a great time hanging out with this bunch. It was quite cute watching Harrison with his little sister. He’s only one, but a true boy. I can’t wait to see how they interact as they grow older. Faye - Baby Catherine and her family are precious! They will treasure these photos for sure! I love how timeless these are! Great job! Rachel - These are so perfect. I love how natural everything is, and such a little piece of life for them! And what a beautiful baby! Love this whole session! Tammy - These are so precious! They are SUCH a cute little family! The very last one is definitely my favorite too. Great job! Katie - This has to be the cutest family ever!!! I love the pops of yellow and all the love! I adore the lifestyle approach and your natural way of capturing true emotion. Such a great session. 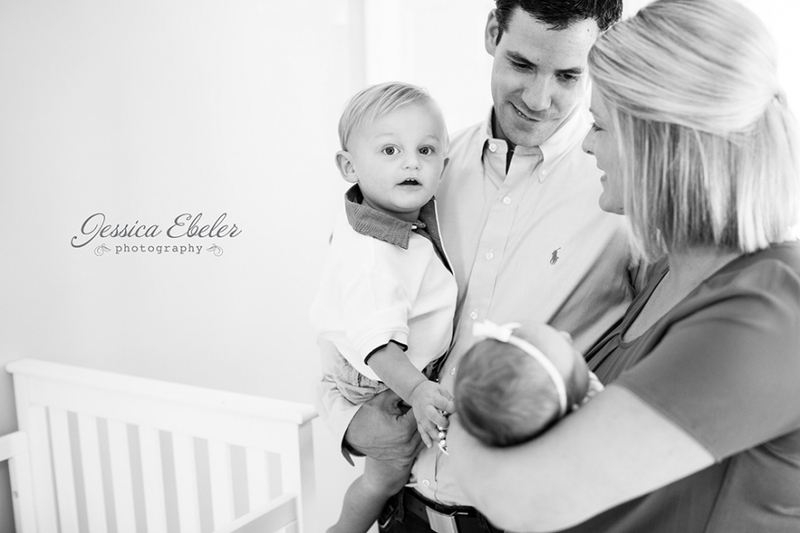 shannon - what a gorgeous family and a gorgeous session! i love the one on the porch with the pup and the one of them all on the swing with big brother’s laugh. beautifully captured! Karen - What joy this little sweetheart has brought to her family! You can see it in the photographs, well done! I want to nibble on those perfect little toes! Love the highchair pics, and their gorgeous kitchen! Abbey - First of all let me say.. mad props to Ross and Mallory for having a ONE YEAR OLD and a NEWBORN. You guys have me impressed already. Second, I always love you home newborn shoots! The last photo of Catherine is just absolutely stunning. Love the light, love, and cuddles in all of these. Awesome job. Laurie - Jessica! I love every one of these images! 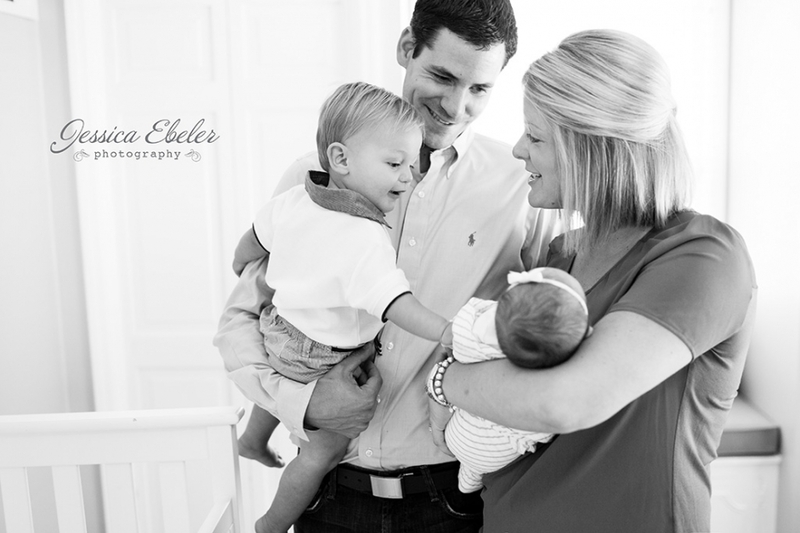 You are amazing with lifestyle family sessions, please do more : ) These are beautiful! Kate Borgelt - I love these. The wide of the kitchen is so perfect. such a great story telling moment… and this last one. sigh. I love it so! kim - ahhhhh — your favorite is mine too! so many wonderful images for this cute family! Maggie - How adorable! Such a great lifestyle session! I agree with Kate, the shot in the kitchen is fabulous! Micah - This is one precious family session!! Love your use of light throughout the entire session! You can feel the love that this family shares with each other pouring out of every image! Great work! Melissa Yocum - These are all SO perfect!! And your processing is gorgeous! Such a beautiful fam! Jen Saner - These photos melt my heart!! Perfectly captured moments!! Love the family shot on the swing! Zach and Sarah - You are killing it with these in-home sessions! I LOVE this one! 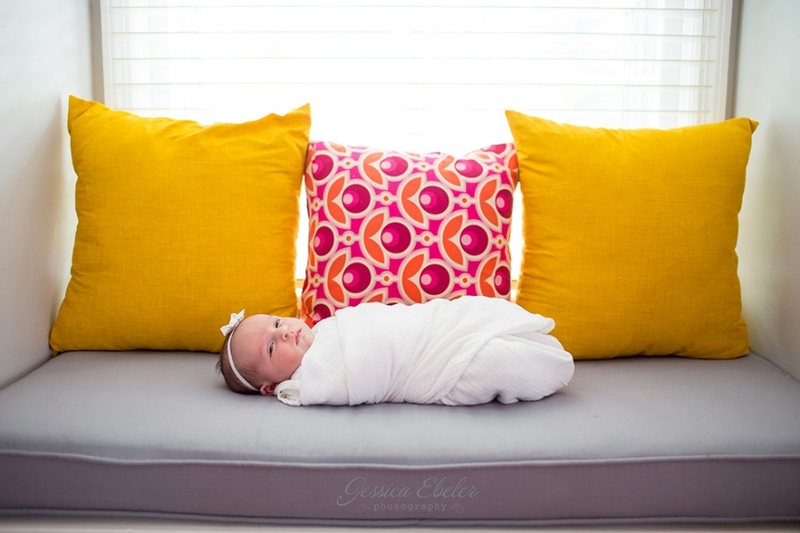 The family pics are great, and the newborn shot with the colorful pillows is perfect. BUUUUUT, my favorite has to be the ones in the kitchen. Beautiful mama, beautiful family.